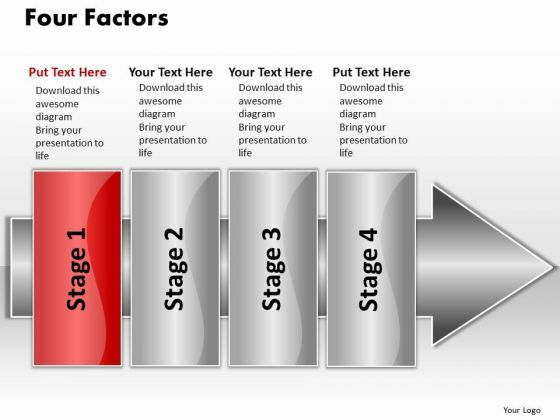 PPT linear flow 4 factors2 PowerPoint Templates-Use this 3D PowerPoint Diagram to represent the important concepts of the Pointing Arrow containing stages. This image signifies the concept of different stages of a process. Add charm and personality to your presentations with this colorful PowerPoint Diagram. you can easily edit the size, position and text and change the colors as per your need.-PPT linear flow 4 factors2 PowerPoint Templates-4 Factors, Abstract, Arrow, Blank, Business, Chart, Circular, Circulation, Concepts, Conceptual, Design, Diagram, Executive, Icon, Idea, Illustration, Management, Model, Numbers, Organization, Procedure, Process, Progression, Resource, Sequence Get the approval of your audience with our Ppt Linear Flow 4 Factors2 PowerPoint Templates. Dont pass up this opportunity to shine. Be colorful and convincing with our Ppt Linear Flow 4 Factors2 PowerPoint Templates. Dont pass up this opportunity to shine.